Trump Plans to Pull The U.S. Out Of The Cultural Arm Of The U.N. NPR's Scott Simon speaks to Irina Bokova, the director-general of UNESCO, regarding the announcement that the United States will be withdrawing from the organization. The United States said on October 12, 2017 that it was pulling out of the UN's culture and education body, accusing it of "anti-Israel bias" in a move that underlines Washington's drift away from international institutions. 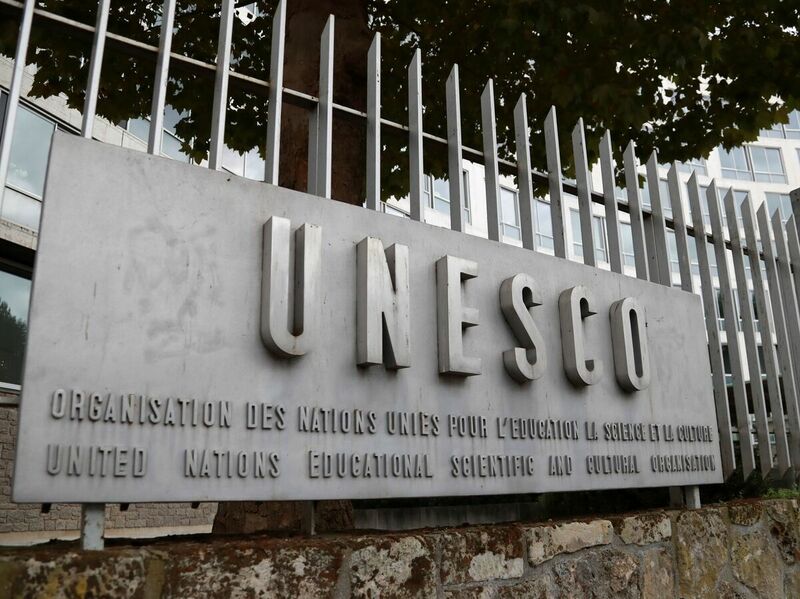 Earlier this week, the Trump administration announced the United States will withdraw from UNESCO, the United Nations Educational, Scientific and Cultural Organization. President Trump has been critical of the United Nations as a multilateral body, claiming it is "hobbled by bureaucracy and mismanagement, but held out hope for improvement," as reported by NPR's Scott Horsley. The U.S. State Department wrote the withdrawal is, in part, because of what they consider anti-Israel bias at UNESCO, and how the organization designates World Heritage sites. The U.S. has inscribed 23 World Heritage sites – including the Statue of Liberty and the Grand Canyon National Park – and has suggested 20 more. There is also an issue with funding, as the U.S. owes UNESCO about $500 million dollars, according to the State Department. As NPR's Colin Dwyer reported, the administration will remain a "non-member observer state." This is not the first time the U.S. has withdrawn from UNESCO. The Ronald Reagan administration decided to do so in 1984, "at the height of the Cold War, citing corruption and what it considered an ideological tilt toward the Soviet Union against the West," as reported by Foreign Policy. Irina Bokova, the organization's Director-General, released a statement in response to the decision. And on Friday evening former French cultural minister Audrey Azoulay, was elected by UNESCO to succeed Bokova. Bokova joined Weekend Edition Saturday via phone from the UNESCO headquarters in Paris. She spoke with NPR's Scott Simon about the recent U.S. decision. What is your reaction both to the U.S. withdrawal, and the contention, which has also occurred under previous administrations that UNESCO is biased against Israel? Well, I would say that of course it's a profound regret that I learned about this news and it is because UNESCO and the United States have a deep partnership that has been developed through the years. And particularly nowadays when we see the rise of violent extremism, of terrorism in the world, which is very much a priority for the administration, we are the agency that has been created in fact to prevent conflict, to sustain peace, preventing violent extremism through education. And intercultural dialogue is very high on the agenda of UNESCO nowadays. The U.S. owes more than $500 million (to UNESCO), mostly because it stopped paying dues to the organization in 2011 to protest UNESCO's admission of Palestine as a full member. That wasn't under President Trump, that was under President Obama. Well, this was not a deliberate decision of the administration. Just there were two laws that still exist, adopted in the '90s by Congress, which say that if a person becomes a member of any International Organization, it's an automatic suspension of financial contributions. So these two laws were triggered by the decision of our general confidence. I bring up the matter of the debt though because it seems to me any country that was paying its bills would say the United States should be thrown out of UNESCO, for owing half a billion dollars. Well, I would say that this situation with the suspension, of course, was very unfortunate, and I have raised dozens of times this issue with the U.S. because, of course, it is not normal that a member of a club does not pay dues. We need this financing very strongly because we implement work and projects in the world. But at the same time we need also the political commitment of our member states so at least we had the political commitment. So, now of course, we are losing both and this is really deplorable. UNESCO must have known in July when they declared the old city in Hebron, a Palestinian World Heritage Site, that Israel would object saying Judaism has a lot of links to Hebron, and that this would create problems in the United States. One should make a difference; at UNESCO there are different bodies. So when you say UNESCO took a decision, I think the more precise [way] will be to say that the World Heritage Committee took a decision. But on my side, I have done many, implement many initiatives to strengthen our ties with the Jewish people. I think if you look at the bigger picture you will find also these important activities of the organization that I think makes it a little bit more complex. Just to be one sided when you judge us. I wasn't asking if you or UNESCO are anti-Semitic. I was asking if you didn't realize in July, when the Heritage Site committee made the declaration. I personally realized it. But as I said I'm not taking these decisions, [but] the World Heritage Committee. But I did realize it. What do you think if this decision is permanent? What do you think the U.S. will miss by not being a member of UNESCO? Oh, I think the U.S. will miss a lot. It's a big loss for the United Nations family because we are part of this family. It is a big loss for multilateralism, but I believe it is also a loss for the U.S.